Witches call to us from thresholds, crossroads, seashores, swamps, and mountain tops. Fairy-tale witches beckon from within wild forests. Urban witches mingle in stores stocked with candles, crystals, statues, and books. Witches fly through the air and dig twisted roots from the ground. Beautiful witches dance beneath the stars. Robed magicians chant in arcane tongues. Alluring witches ensorcell with the power of potions. Cadaverous hags stir steaming cauldrons. Flower- and pentacle-bedecked witches celebrate the seasons. Hideous witches lurk in horror films, working their wiles and definitely up to no good. A compendium of witches through the ages, from earliest prehistory to some of the most significant modern practitioners, The Weiser Field Guide to Witches explores who and what is a witch. Appropriate for readers of all ages, this book serves as an excellent and entertaining introduction for those fascinated by the topic. Famed historical legends like Aleister Crowley, Marie Laveau, and Elizabeth Báthory. Literary and cinematic figures like Harry Potter, the Scarlet Witch, and the Wicked Witch of the West. Sacred witches such as Isis, Lilith, Hekate, Kybele, Freya, Odin, and Aradia. The heartbreaking history of the Salem Witch trials and the Burning Times. 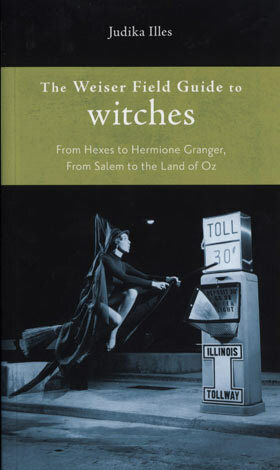 Read an excerpt from The Weiser Field Guide to Witches.